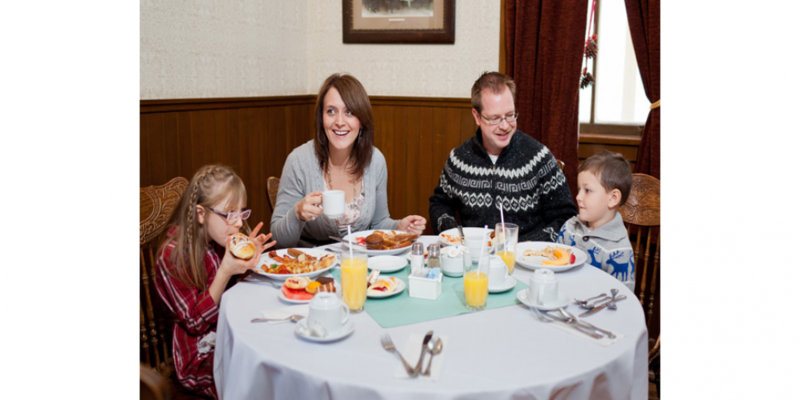 Show your mother how much you care by treating her to a fabulous Mother’s Day Brunch at Heritage Park’s Gasoline Alley Museum. Please call (403) 268-8500 to book. Phone lines open 7 days a week, 8:30 am to 4:30 pm. Day Out With Thomas: While the park is not yet open for the Summer 2019 operating season, our Day Out With Thomas train event will be taking place inside the Historical Village on Mother’s Day weekend. Brunch guests who wish to visit the Historical Village on May 12 are required to either have pre-purchased tickets for the Day Out With Thomas event, or purchase gate admission separately. Gate admission, which does not include a Day Out With Thomas train ride, will be available to purchase on the day of the event.